1. Keep all the ingredients ready for cooking. Measure and take the rice in a bowl and wash the rice gently for 2 to 3 times in cold water. 2. 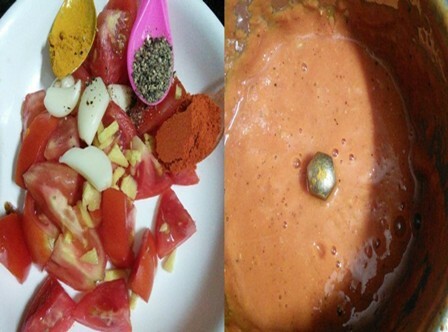 Grind the tomatoes, garlic cloves, ginger, pepper powder, turmeric powder and chilly powder smoothly. No need to add any water. 3. Heat 2 tsp oil in a pressure cooker or pan and add the mustard, urid dal and channa dal. 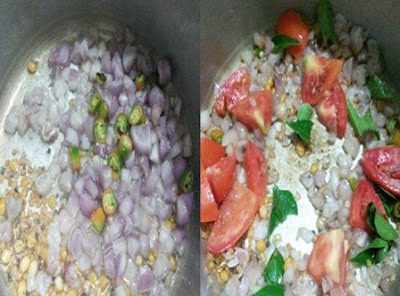 Next, add the chopped small onions and chopped green chillies. 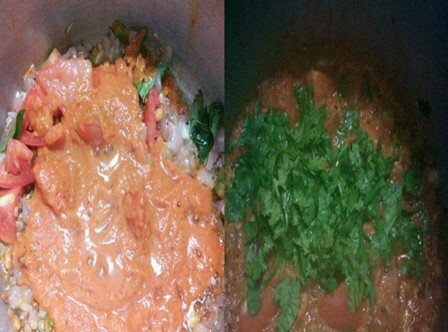 When the onions turn soft add the tomatoes and curry leaves. 4. Saute it for few seconds and add the ground tomato paste.Stir and saute them well until it gets thick. 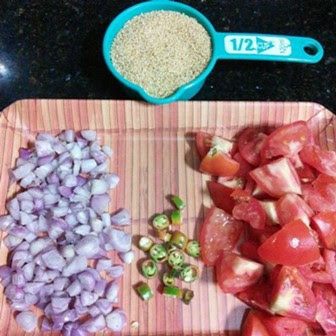 Next, add the finely chopped coriander leaves and stir it well. 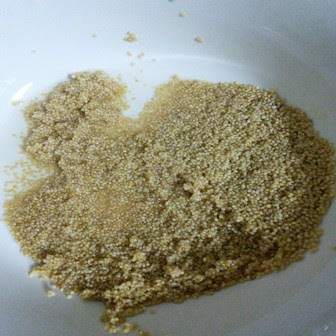 Mix them well and add the drained foxtail millets. Reduce the flame to low and pressure cook for 2 whistles. Switch off the flame and keep the cooker down from the stove top. Allow the pressure to settle down naturally. 6. Now open the cooker and fluff the rice gently. Immediately transfer it to serving dish. Please do not keep the cooked millets as it is in the cooker. Then your millets won't look good and it becomes hard. 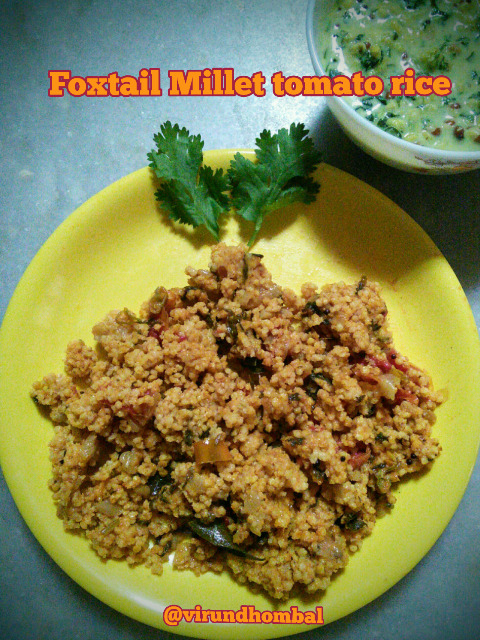 Yummy and healthy Foxtail millets tomato rice is ready to serve. You can serve it any vegetable salad or vegetable kootu. 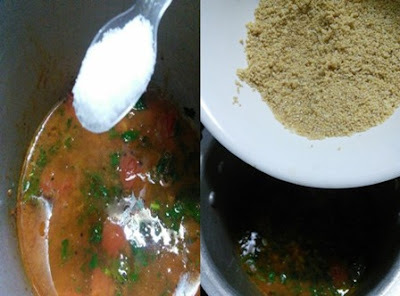 If you try this recipe for Foxtail millet/Thinai arisi tomato rice send us your comments below and share the recipe for your friends and family.